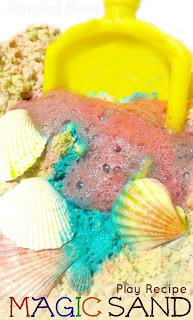 I love experimenting with common household items to create fun art and play recipes. This next recipe for play is simple to make, and there are tons of ways for kids to play & explore! 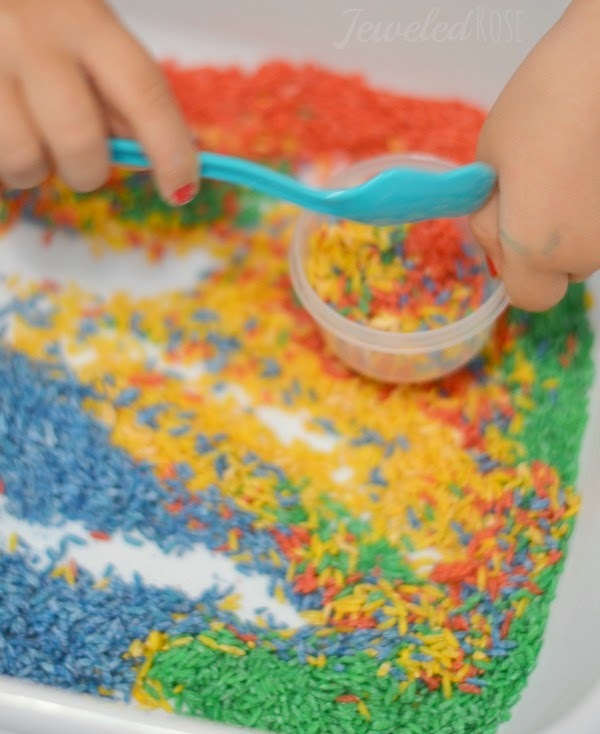 This magic rice is fabulous for sensory play, exploring a bit of science, and for learning and reviewing colors & color theory. 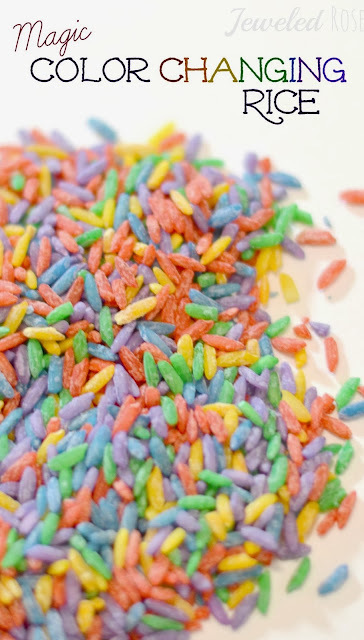 Rosie and Jewel have had lots of fun playing with their magic rice, and it is really easy to make which I LOVE! 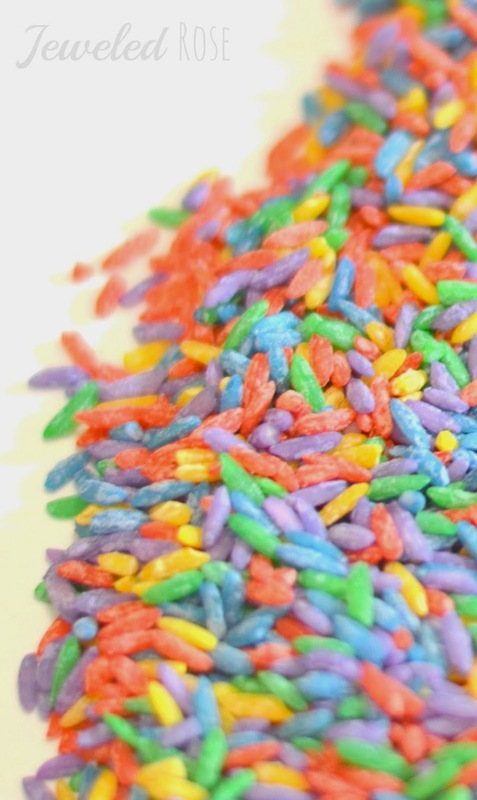 Divide the desired amount of rice into zip seal bags, one bag for each color of rice you wish to make. 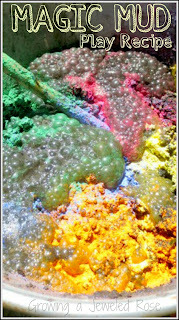 I used one cup of rice for each color, and we made the whole rainbow using a total of 7 cups of rice. We buy our rice in 10 pound bags at Walmart for only $5. 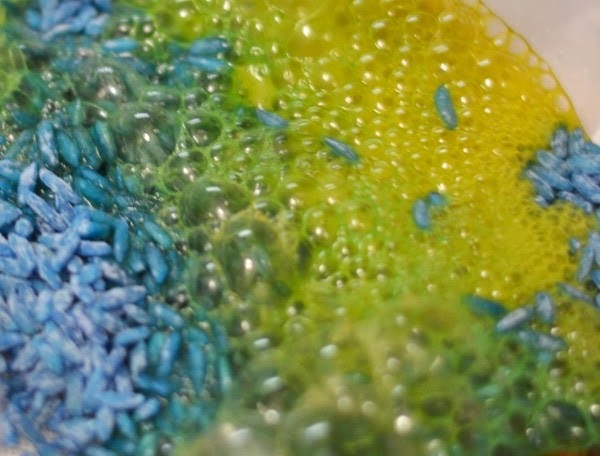 You can also use the rice to explore color theory. 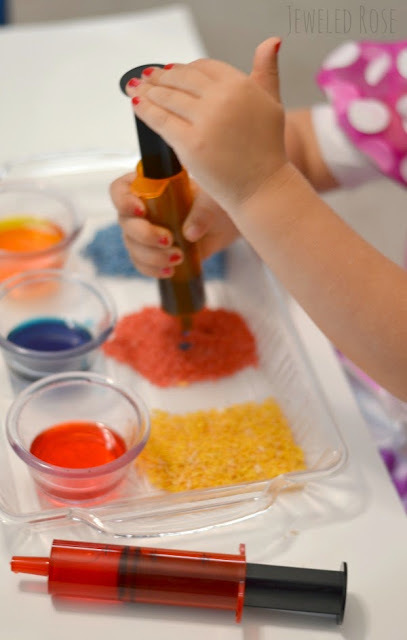 I set up a color mixing lab for Rosie, and she had so much FUN! 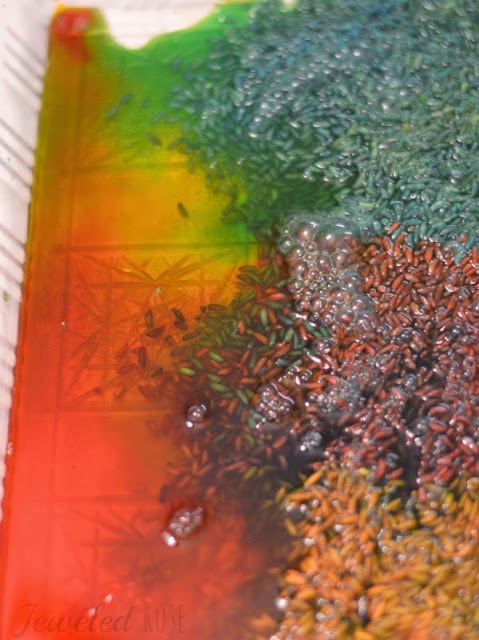 In a shallow pan I set out piles of rice with varying colored vinegar beside each rice color. 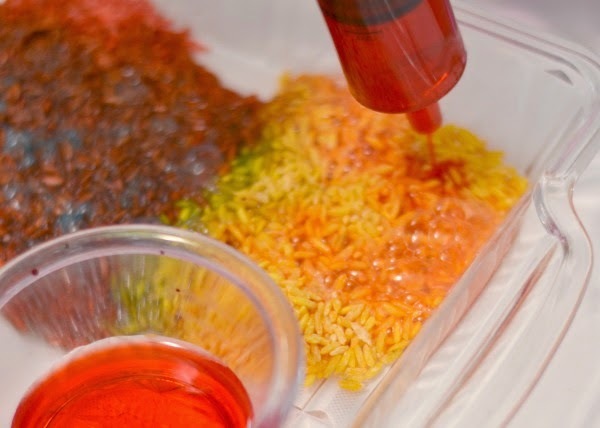 I corresponded the vinegar and rice colors so that when combined they would create new colors (Red and blue to make purple, blue and yellow to make green, and yellow and red to make orange). 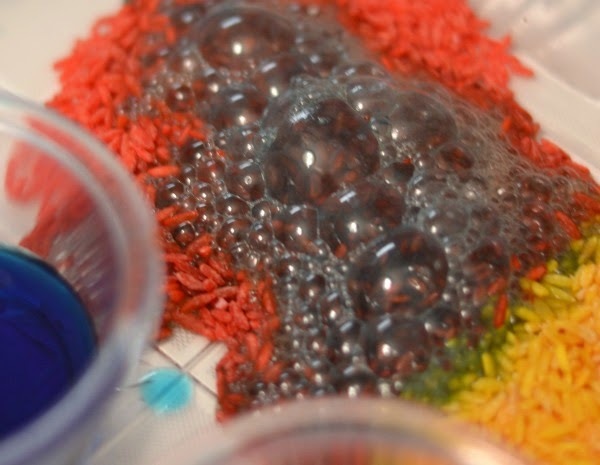 As Rosie played scientist I asked her what she thought would happen if she dropped a certain color vinegar onto a certain color rice. 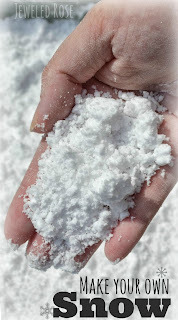 After the rice experiments I used a strainer to rinse the rice with water and then set it out to dry. 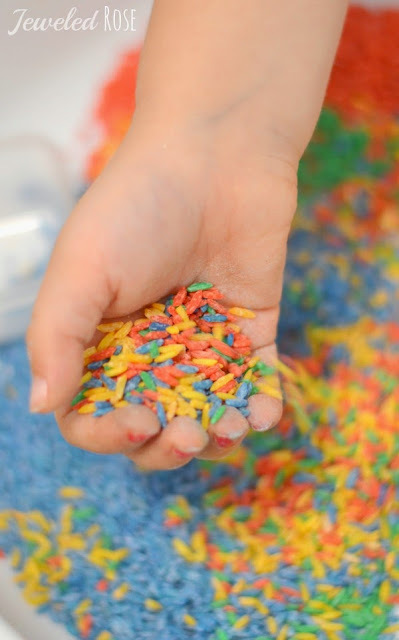 It is still colorful and can be used for future sensory activities. You could also re-color the rice using the above method to make it magical again. SO FUN!